Heat oven to 375 degrees. Place pork in a baking dish. Sprinkle with salt on all sides. Add 1/3 cup water around meat. Cover tightly and bake for 1 hour. After one hour, raise the temperature to 450. Uncover and cook until the liquid has completely reduced, leaving only rendered fat. This should take about 30 minutes. 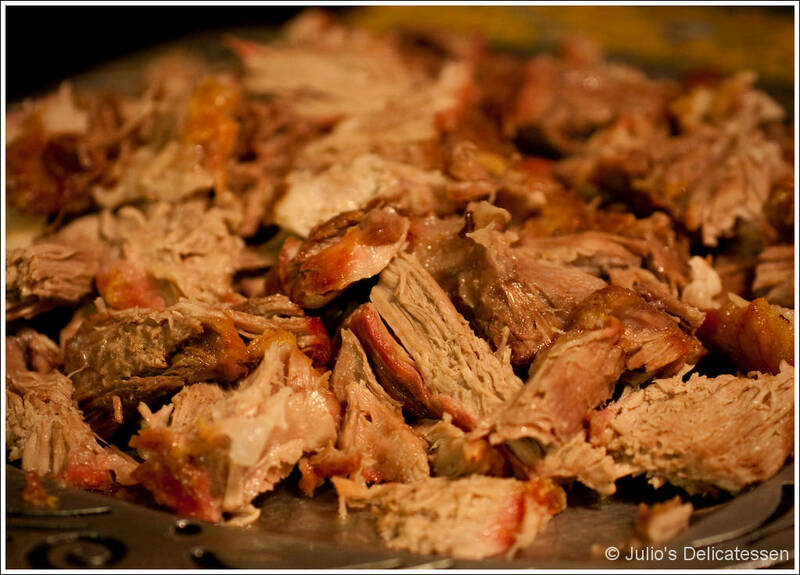 Continue roasting another 20 – 30 minutes, turning the meat (trying not to break the pieces apart) every 6 – 8 minutes. Serve on a platter (either already broken into chunks or whole, allowing people to break chunks off themselves) with guacamole, salsa, and warm tortillas.